We invite you to join us on a journey of the Soul, with “Courses to Expand your Consciousness.” We have high principles at the School and offer a high standard of teaching. Dee Banton have over 25 years of teaching, healing and working with the Ascended Masters and is an Affiliated Teacher of ICRT. Holy Fire Reiki is the New Upgrade for Usui Reiki and is now taught at the School. 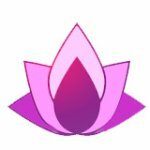 Reiki Ray Courses: Reiki Sound Ray, Reiki Crystal Ray, Reiki Colour Ray. Reiki Enlightenment is excited to present to you some New Courses! When we train with the Reiki Ray Courses we directly link with an Ascended Master overseeing that Ray for guidance and information from with the Master during your training and meditations. For Reiki II Practitioners or Healers with some experience. Connecting with the Ascended Master Djwal Khul. Learn how to give a healing session with Tibetan Singing Bowls. Connecting wit the Ascended Master Kuthmi. Become a Crystal Healing with this module. Teacher Level : Train in the Teaching Day to become a Reiki Crystal Ray Teacher. Connecting with the Ascended Master Paul the Venetian. Become a Colour Healing with this module. Reiki Enlightenment School is Affiliated with the Complimentary Medical Association. and the International Centre for Reiki Training.